Musburger, who is now a Las Vegas resident, used his trademark opening line “You are looking live” before countless professional football games. But there was always added emphasis if it was before an NFL playoff game. And before he would introduce his broadcasting partners Irv Cross, Jimmy “The Greek” Snyder and Phyllis George, Musburger would always highlight key players. 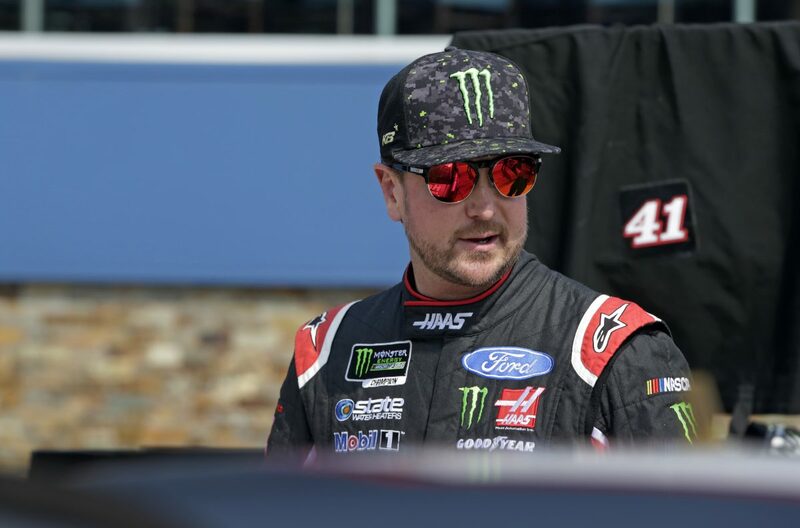 And if he was working Sunday’s opening race of the Monster Energy NASCAR Cup Series playoffs at Las Vegas, Musburger would highlight Kurt Busch, who is a Las Vegas native and would love to win the opening race of 2018 postseason. Busch has won two poles and scored one top-five finish and four top-10s at the 1.5-mile Las Vegas oval. Additionally, the 40-year-old driver has led 85 laps, has an average starting position of 9.1, an average finish of 22.5, and has completed 95.2 percent – 4,341 of 4,560 – of the laps he’s contested there. But he’s never found victory lane at his hometown track. And it would be a Vegas-style party if he wins it this year. Think of Dale Earnhardt in 1998 winning the Daytona 500 at Daytona (Fla.) International Speedway. Or Busch’s boss, Tony Stewart, when he finally won the Brickyard 400 at Indianapolis Motor Speedway in 2005. That would be Busch if he could be victorious at Las Vegas, especially with it being the opening race of the playoffs for the first time. He and the No. 41 Haas Automation Ford Fusion team for Stewart-Haas Racing have had a great season thus far, winning one race, scoring 17 top-10 finishes and entering the playoffs tied for sixth in points. And both Busch and his crew chief Billy Scott would love nothing better than getting a victory at Las Vegas to start the playoffs in the best way possible, and giving Busch a heartfelt, hometown win. Are you worried about the “Big Three” of Kevin Harvick, Kyle Busch and Martin Truex Jr.? What track are you most comfortable about in the first round? Does racing in Las Vegas give you a “home-field” advantage, and are you excited about two chances to win at Vegas in 2018? What does it feel like coming back to Las Vegas? Of those venues that you mentioned, is there an area out West that you like to visit – have to visit – when you’re out there?